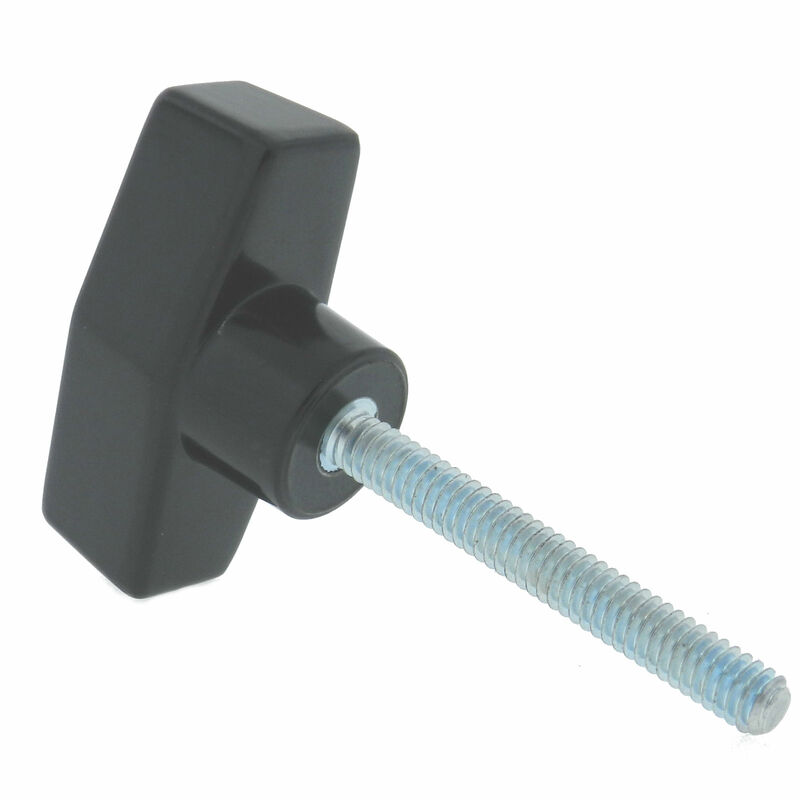 Request a quote for Phenolic T Handle Stud today. 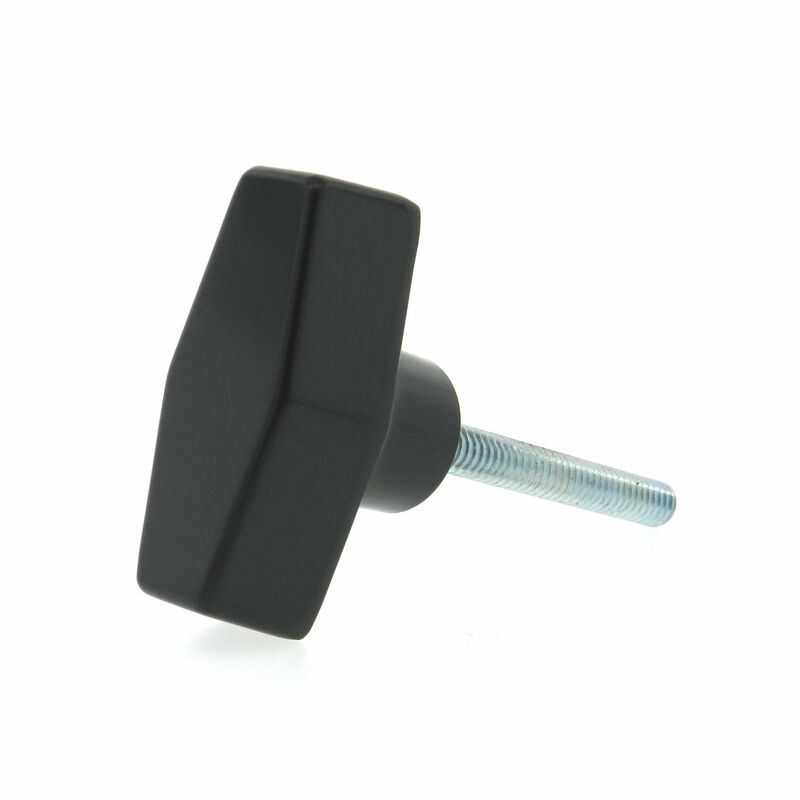 This phenolic t-handle hand knob (also known as a clamping knob) from JBF National, features a stud made from the highest quality steel. In addition, due to the lack of mold lines and combined with the smooth edges of its phenolic grip, continued operator palm comfort is ensured. For other insert materials, contact one of our highly trained sales engineers today. Please see component diagram below. 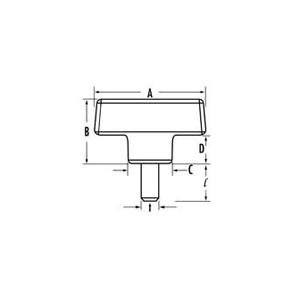 1PTH-1513 2 1.14 0.75 0.51 1/4-20 1/2"
1PTH-1514 2 1.14 0.75 0.51 1/4-20 2"
1PTH-1515 2 1.14 0.75 0.51 5/16-18 3/4"
1PTH-1516 2 1.14 0.75 0.51 3/8-16 1"